George shares the history of sled dog racing, starting with Koyukuk River area trappers competing against each other to today’s Alaska championship racing circuit. In the early days dogs were pooled from the best village kennels so a musher could race in world championships held Anchorage and Fairbanks. As a young man, George had the great opportunity to race others people’s really good dogs. An Elder challenged him to raise and train his own team, which he did and it set his exceptionally long racing career in motion. George tells how the use of dogs for checking trap lines and winter transportation in the bush changed with the coming of the snow machine. He recalls trading a snow machine for the best running dogs in a village. Soon afterwards, he moved to Fairbanks and made a business out of selling sled dogs to competitive mushers. 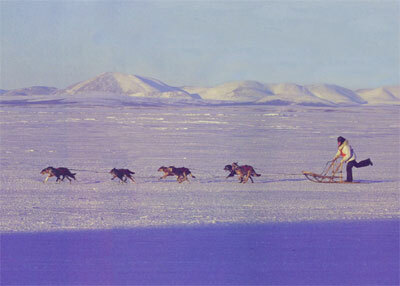 With winning teams, George earned sponsorships to support his sled dog racing. He shares what it took to stay on top.